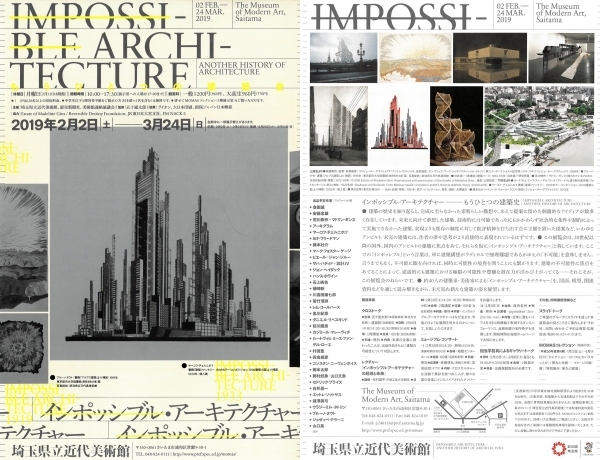 The Museum of Modern Art, Saitama, Japan, will present the exhibition, Impossible Architecture, in collaboration with three other museums; Niigata City Art Museum, Hiroshima City Museum of Contemporary Art, and the National Museum of Art, Osaka. 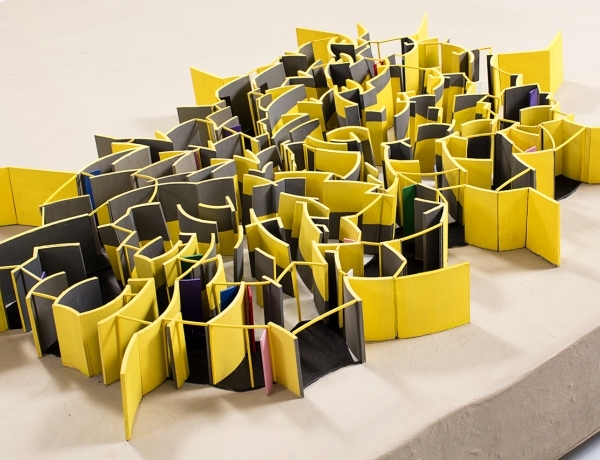 The exhibition will travel through these four public museums in Japan from February 2019 until March 2020, and will be featuring several artworks by Arakawa and Madeline Gins, including a large-scale model of The Process in Question/Bridge of Reversible Destiny. 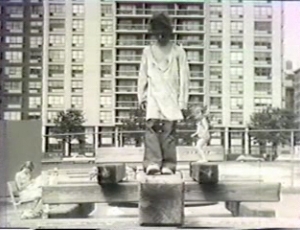 One of two experimental films directed by Arakawa, For Example (A Critique of Never), 1971, will be showing at the Emily Harvey Foundation on Sunday April 14, 2019 at 4pm. The screening will be followed by a talk and Q&A with Andrew Lampert, an artist, archivist, and frequent writer on art and cinema. 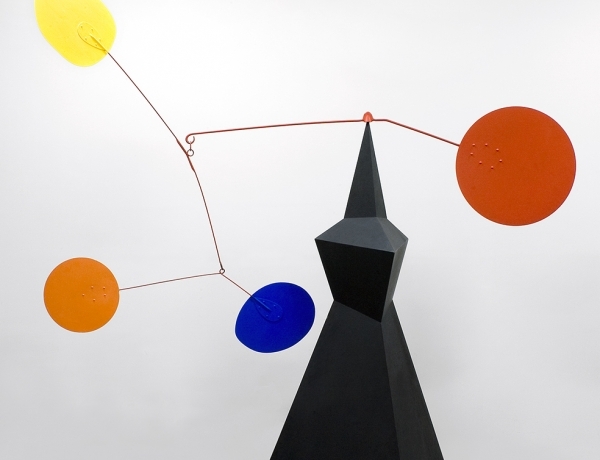 Reversible Destiny Foundation and Christie's New York are pleased to present "Testing the Limits: Arakawa X Isamu Noguchi". 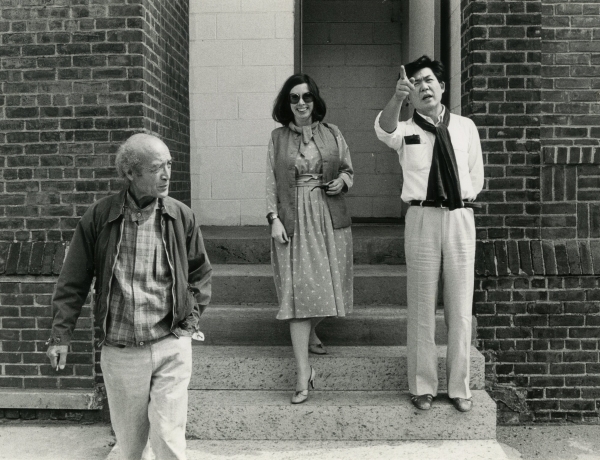 This program invites Brett Littman, Director of the Isamu Noguchi Museum and Garden, in conversation with Miwako Tezuka, Consulting Curator of Arakawa and Madeline Gins’ Reversible Destiny Foundation, to discuss the artists Arakawa and Isamu Noguchi's kinship in genre-defying interests and activities. It is our great pleasure to inform you that the exhibition Eternal Gradient is travelling to Graham Foundation in Chicago, opening on February 7th and on view until May 4th, 2019. There will be public programs during the exhibition period. 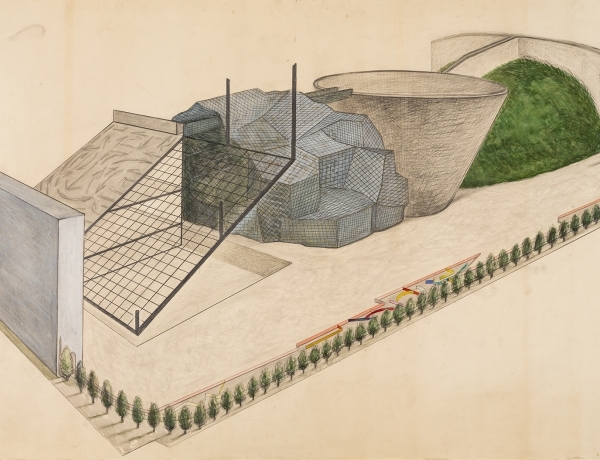 Tracing the emergence of architecture as a wellspring of creativity and theoretical exploration for the Arakawa and Madeline Gins, this exhibition features over 40 drawings and other archival materials that illuminate a pivotal moment within a practice that spanned nearly five decades of collaboration. 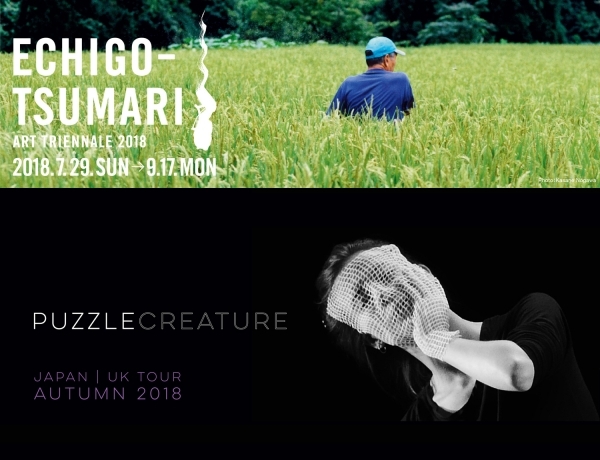 Reversible Destiny Foundation is pleased to announce the World Premier of "Puzzle Creature" by Neon Dance, to be held on September 15 & 16 at Kamigo Clove Theater as one of the highlights of the Echigo-Tsumari Art Triennale, Japan 2018. 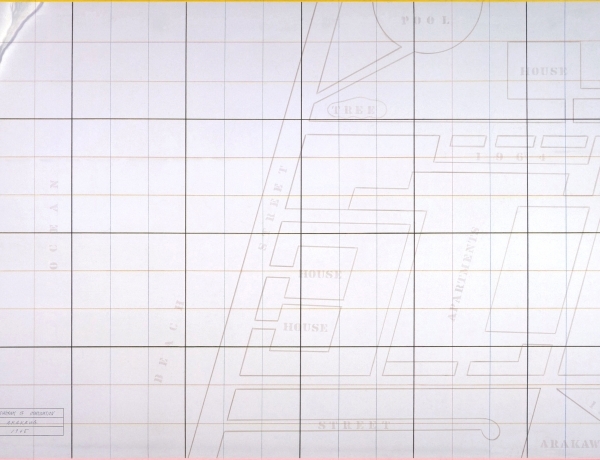 In this talk, Miwako Tezuka of Reversible Destiny Foundation, introduces selections of archival materials that illustrate ARAKAWA’s range of interests and examine how these materials influenced the core visual and conceptual language in his art. 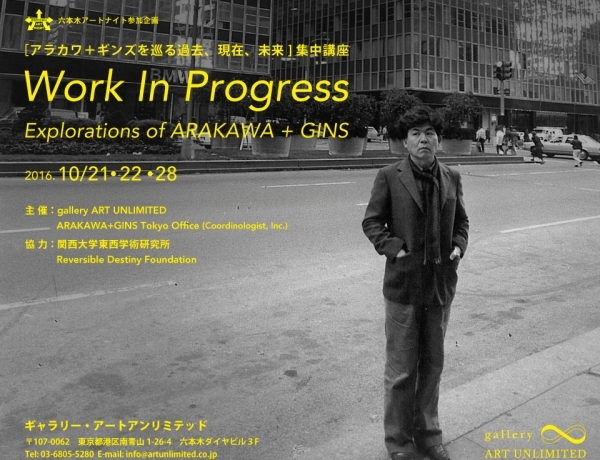 Arakawa + Gins in The Future Starts Here at the Victoria & Albert Museum, London, United Kingdom. 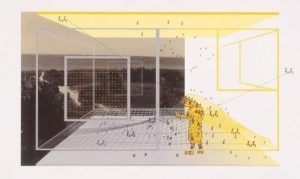 Columbia GSAPP's Arthur Ross Architecture Gallery presents an exhibition of architectural drawings, writings, and research by Arakawa and Madeline Gins. 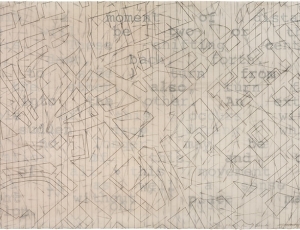 The Chrysler Museum of Art is pleased to announce Multiple Modernisms - an exhibition of modern and contemporary art that features the work by Arakawa, Untitled, 1963 (Gift of Walter P. Chrysler, Jr.). This reinstallation of the Chrysler Museum’s McKinnon Galleries highlights pieces in the Museum’s permanent collection through an examination of differing narratives about the history of modern and contemporary art. The exhibition shows similar approaches between artists, many who worked simultaneously or successively. It also explores contradictory ideas influenced by politics and socioeconomics. The exhibition will be on view at the Norfolk, Virginia museum starting November 17, 2017. Artist John Walter curates the new Hayward Touring exhibition Shonky: The Aesthetics of Awkwardness​, ​opening at the MAC in Belfast before embarking on a national tour to Dundee Contemporary Arts (DCA) and Bury Art Museum and Sculpture Centre. The exhibition aims to explore the nature of visual awkwardness through the work of artists and architects Arakawa and Gins; Cosima von Bonin; Niki de Saint Phalle; Benedict Drew; Justin Favela; Duggie Fields; Louise Fishman; Friedensreich Hundertwasser; Kate Lepper; Andrew Logan; Plastique Fantastique; Jacolby Satterwhite; Tim Spooner ​and John Walter. 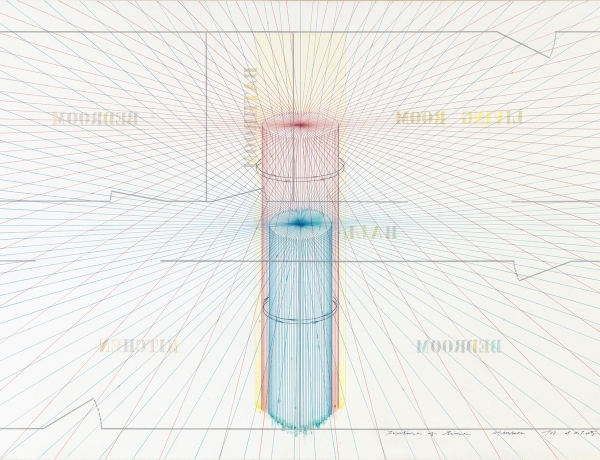 Join Reversible Destiny Foundation and Dillon + Lee in the film screening of Arakawa's Why Not (A Serenade of Eschatological Ecology) (1969) at Williamsburg's National Sawdust. Why Not is a surrealistic exploration, by a young female protagonist, of both her psychological and physical realms, shot entirely within an enclosed space of an apartment (Arakawa's studio). 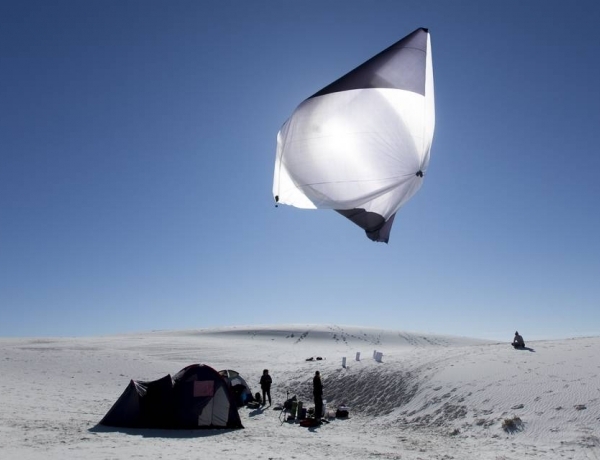 The screening is a rare opportunity to see Arakawa's experimental film in full, in the backdrop of the innovative venue of National Sawdust. 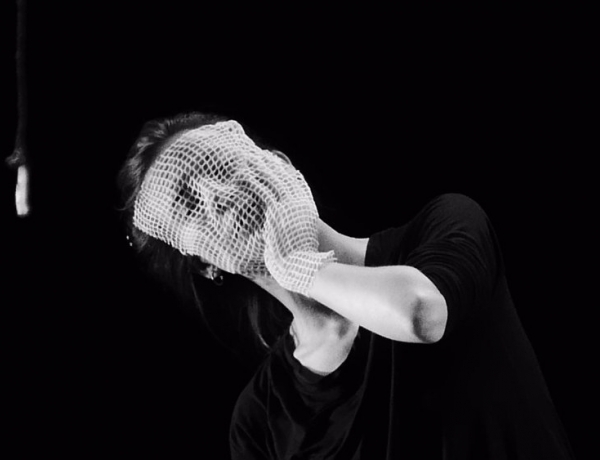 Puzzle Creature by Neon Dance draws on the life and work of Arakawa and Madeline Gins and will be designed to be presented in both traditional and nontraditional performance spaces. Due to premiere in 2018. 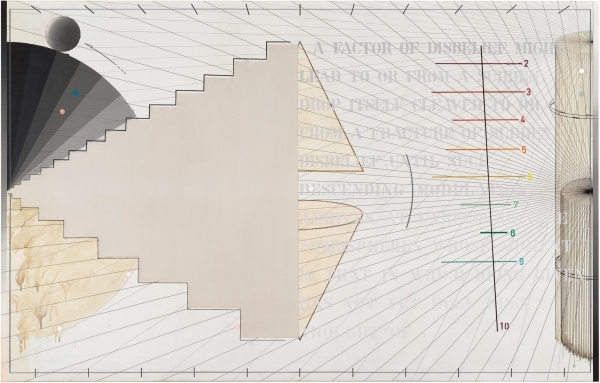 The Reversible Destiny Foundation and Gagosian are pleased to announce the exhibition of six paintings by Arakawa. The exhibition will be on view from May 2 through May 26th, 2017 at the Gagosian gallery at 555 West 24th Street, New York. The first major exhibition to explore the storied history of the groundbreaking mid-20th-century Dwan Gallery will premiere at the National Gallery of Art, Washington, from September 30, 2016, through January 29, 2017. 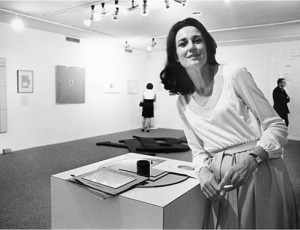 Honoring Virginia Dwan's gift from her extraordinary personal collection to the National Gallery of Art, Los Angeles to New York: Dwan Gallery, 1959–1971 will be on view in Concourse galleries of the newly renovated East Building. 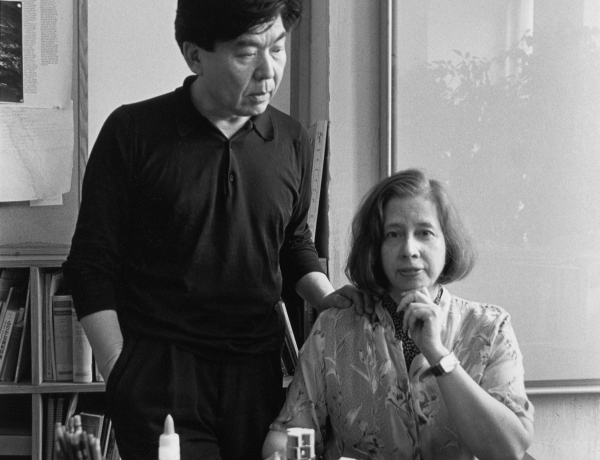 The exhibition traces Dwan's remarkable career as a gallerist and patron through some 100 works drawn from her collection as well as from museums and private collections. 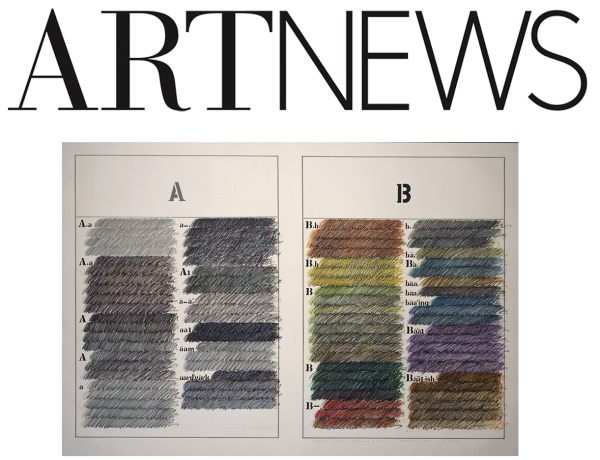 The exhibition includes Arakawa's Untitled, "Stolen", 1969, collection of Wadsworth Atheneum Museum of Art, Hartford. The exhibition travels to the Los Angeles County Museum of Art, where it will be on view from March 19 through September 10, 2017. 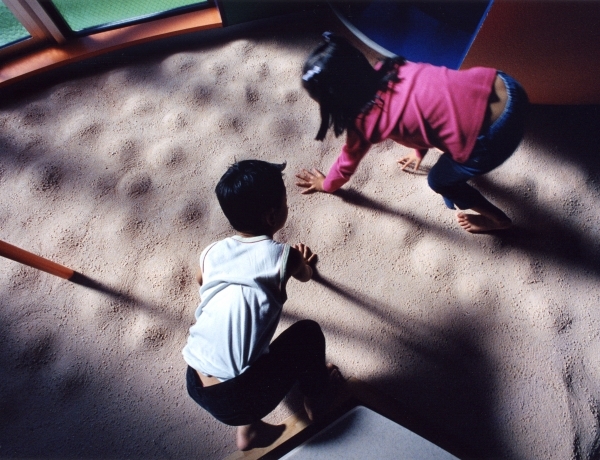 Reversible Destiny Foundation and Triple Canopy are pleased to present a screening of Children Who Won’t Die (2010). 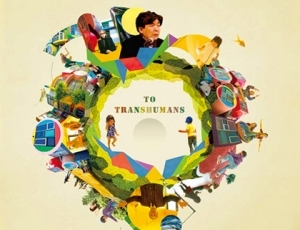 Directed by Nobu Yamaoka and scored by composer Keiichiro Shibuya, the documentary is a meditation on the work of Japanese artist Arakawa and his efforts, with his wife and creative partner Madeline Gins, to “reverse destiny” and free humanity from the necessity of death. In collaboration with Asia Contemporary Art Week and hosted by Artnet, this event launches Reversible Destiny Foundation’s series of public programs. The panel discussion Points of Convergence invited distinguished speakers who brought to the table distinct perspectives into the art and philosophy of Arakawa and how they may be contextualized within the international art of 1960s - 1970s. The panelists were Dr. Reiko Tomii, Naoto Nakagawa, and Dr. Charles Haxthausen. The program was moderated by Dr. Miwako Tezuka, Consulting Curator of Reversible Destiny Foundation. 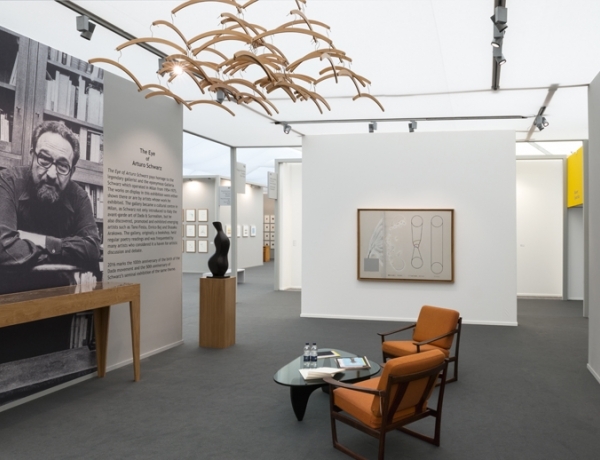 At Frieze Masters, 2016, Eykyn Maclean presented The Eye of Arturo Schwarz, an homage to the legendary gallerist and the eponymous Galleria Schwarz, which operated in Milan from 1954-1975. 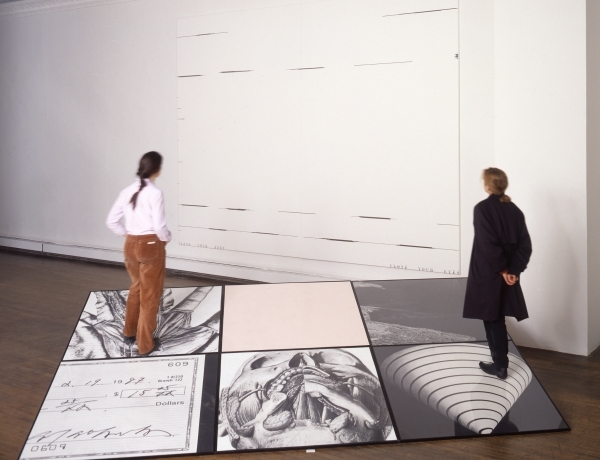 The gallery became a cultural centre in Milan, as Schwarz not only introduced Italy to the avant-garde art of Dada and Surrealism, but also discovered, promoted, and exhibited emerging artists such as Tano Festa, Enrico Baj, and Shusaku Arakawa.